First off, my new animated short "Cop Dog" is going to screen as part of the Comic-Con International Independent Film Festival (CCIIFF). This will be on Thursday, July 20, at 4:30 pm in Grand Ballroom 3&4 at the San Diego Marriott Marquis, 333 W. Harbor Drive, which is right next to the convention center (closest to Hall A). I'll be there to do a quick introduction for the film, which is (believe it or not) the FIFTH film in my very popular "Dog" series. Then on Friday, July 21 at 5 pm, Jim Lujan and I will have a panel in Room 25ABC (on the upper floor) at the convention center. 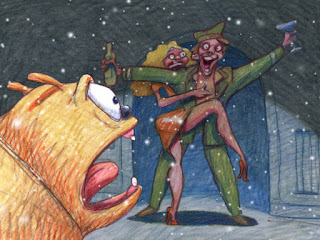 We'll show some of my new shorts, like "No Snow for Christmas", a clip from "Revengeance" and "Modern Lives", one of the new music videos I've been working on for Jackie Greene. 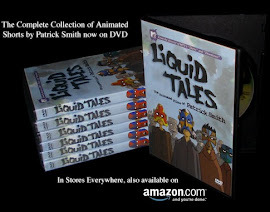 Jim will moderate the panel and we'll take questions from the audience and have a fun time, and if the audience is really good, I may show the first look at the next animated feature I want to make....and everyone who comes to the panel will get a free sketch from me. 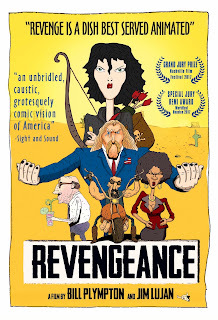 And on Friday night, 7/21 at 10:35 pm, we're going to screen the full film of "Revengeance", this will be the first non-film festival screening in the U.S.! This is going to take place in Grand Ballroom 8 at the San Diego Marriott Marquis, 333 W. Harbor Dr. and admission is going to be FREE for anyone with a Comic-Con badge - WOW, that's huge! The seating is limited, so to all my fans going to Comic-Con, I recommend that on Friday evening, when the main show floor shuts down, go out and have a quick dinner, but come back to the Marriott Marquis in time to see "Revengeance". Come on, stay out a little late, treat yourself to a free screening, you deserve it! You can sleep when the convention is over, right? 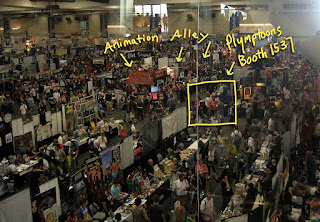 Now, most of the rest of the time I'll be hanging out in my Booth, which is #1537 - look for us in the 1500 aisle, which we call "Animation Alley" (I wish SDCC would call it that, too...) because you can usually find ASIFA-Hollywood, Animation Magazine and Spike & Mike's booth nearby. While I'm at the booth, I will be doing caricatures for my fans - they've become very popular in the last few years. 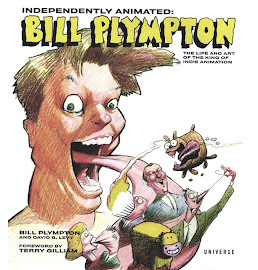 It seems everyone wants to see what they would look like if they were one of my cartoons! As long as I'm there and I have the time, and I don't run out of paper, I can draw you too! Yes, the show floor really does look that crazy. This event becomes more of a madhouse every year, but that's all part of the fun. I'll have Sandrine and Lucas with me, and my office manager John, who's a veteran at running the booth by now, and you just never know who's going to stop by my booth, so please come visit and check out the stars! 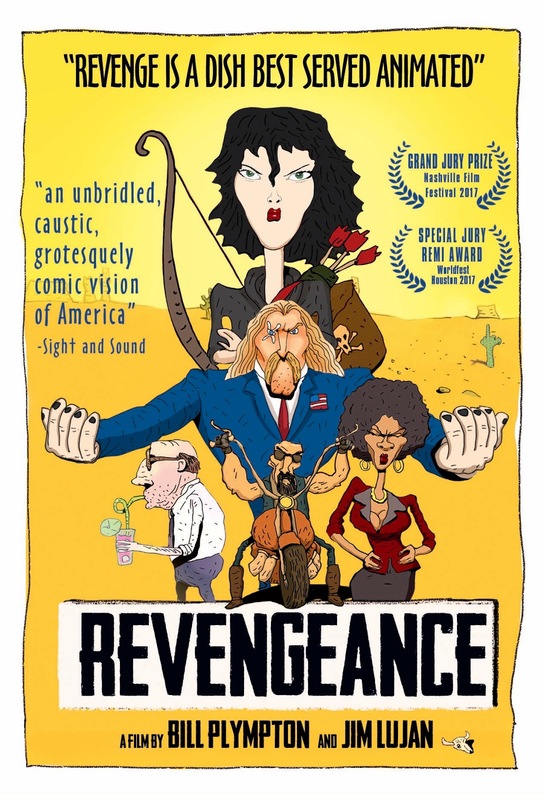 I know that if you go to Comic-Con, there are so many things to do - panels, screenings, parties - but please make some time to come out and see "Revengeance" if you can! I promise you will have a great time!